Cook’s Notes: Zest the lemon before squeezing; we’ll use the lemon zest for the dressing and the marinade. In a small jar, or a container with a tight fitting lid, add all of the citrus dressing ingredients. Cover the container and shake vigorously to mix. Refrigerate until ready to use, shake vigorously before each use too. 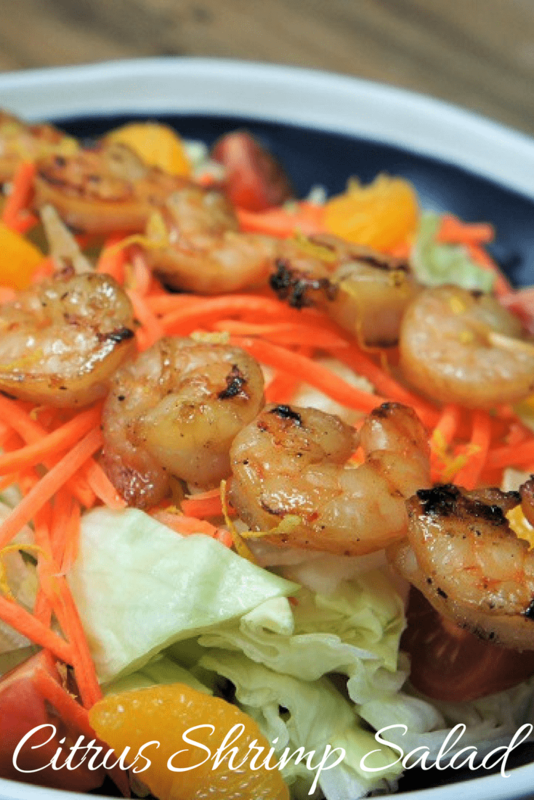 Add all of the marinade ingredients (except the shrimp) to a bowl, stir well to combine. 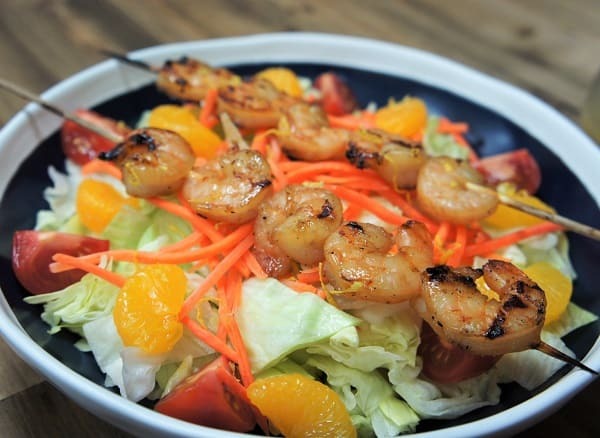 Place the shrimp in a large bowl and add the citrus marinade, stir. 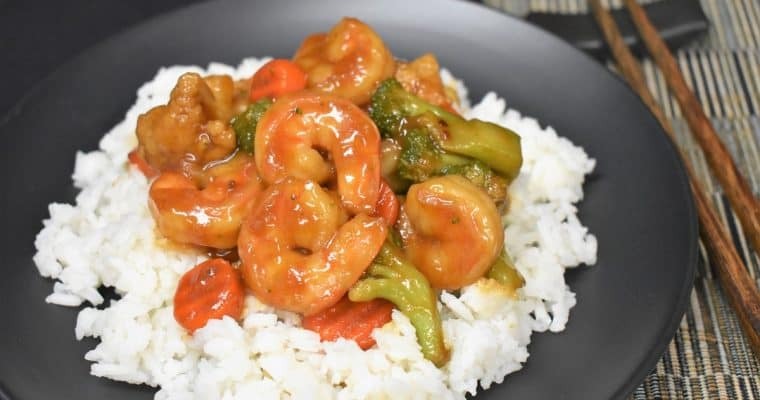 Refrigerate the shrimp for at least 30 minutes. Place the bamboo skewers in a pan that’s large enough so they fit lying flat. Cover the skewers with water. Soak them for 30 minutes or so. Soaking the skewers will keep them from burning while on the grill, so try not to skip this step. Skewer the shrimp, butting them up against each other lightly, but don’t over-crowd the skewer, set aside. Preheat the grill to moderate-low to low heat. Cook the shrimp for a few minutes on each side until they’re cooked through. Shrimp cook very quickly so keep an eye on them. They’re done when they are no longer translucent, turn a beautiful pink color and curl. This is a better indication that the shrimp are done, than the cooking time. Remove the shrimp from the heat and set aside until ready to serve. Divide the salad ingredients into 4 bowls. Gently slide the shrimp off the skewers using a fork or tongs, and divide them among the plates, or serve them on the skewer like we did. Garnish with lemon wedges and a little lemon zest, if desired.